Easterseals Pediatric Audiology provides quality audiology services for children with the purpose of assisting them in reaching their full potential, regardless of their challenges or needs. Of every 1,000 children born in the United States, one to three of them are born deaf or hard of hearing, and many more lose their hearing later in childhood. A child’s first three years of development are crucial for speech and language development in children as well; it’s the period of time a child’s brain is rapidly developing. When a child’s not exposed to language during this time due to hearing loss, he or she will experience significantly more challenges with developing spoken language, sign language and reading. These are a few reasons why identifying hearing loss as early as possible in children is so critical. Easterseals’ certified pediatric and educational audiologists perform comprehensive hearing evaluations on children, and prescribe individualized treatment services. 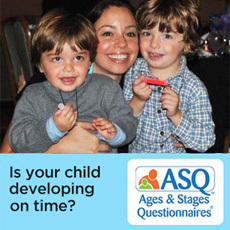 The first three years of a child’s life encompass a critical developmental period. Any degree of early hearing loss during this time of rapid change and growth can significantly affect speech and language development, learning ability, as well as social and emotional growth. For these reasons, early detection is key. Easterseals works in collaboration with local hospitals to implement a comprehensive newborn hearing screening program, which provided the screenings, offers appropriate follow-up care and additional testing, as well as assistance to families of children identified with hearing loss. Easterseals Pediatric Audiology accepts most insurance plans, including Medicaid.